In order to operate a tractor-trailer truck, you must possess a valid commercial driver’s license (CDL). Having a CDL carries a lot of responsibility with it. Not only are the drivers subjected to more stringent rules and laws, but they need to be willing and able to implement strategies that keep themselves safe as well as the others around as it isn’t always that easy to maneuver such a large vehicle. Unfortunately, not all drivers follow the rules and regulations that they are required to abide by which sometimes causes a major accident to occur that often involves other motorists. In fact, the Sun Herald reported on a fatal truck collision that occurred just the other day involving a tractor-trailer driver from Mississippi. According to the news source, 29-year-old Jack Edward Satterfield III of McComb was behind the wheel of the truck involved in the wreck. Satterfield had been traveling on Interstate 83 in Lower Paxton Township, PA when traffic began to slow and eventually stopped. Apparently, the section of the roadway where the incident occurred approaches a construction zone. The source indicated that the Pennsylvania Department of Transportation began a project to widen Interstate 83 to three lanes in both directions from Interstate 81. As the trucker approached the area where construction was occurring, the traffic began to slow, but Satterfield failed to do so. As a result, he crashed into the back of several other vehicles on the roadway. The source cited that police reported a total of 11 vehicles were involved in the wreck. Among the many individuals who were affected by the wreck, three people were killed and seven others were injured. Those who were killed were identified as Zachary Lybrand, 24, an 18-month old girl, and Ethan Van Bochoven, 22. When police arrived at the scene, they determined that Satterfield may have been under the influence and was arrested. The driver was charged with DUI as well as vehicular homicide and was not awarded bail. The source also highlighted that a driver shared their experience, saying that they had been stopped in the construction traffic at the time when they heard a screeching noise coming from behind their vehicle. Shortly after, the tractor-trailer truck crashed into the back of their vehicle. The victim and his girlfriend were forced to climb out of a window in order to escape their damaged vehicle. 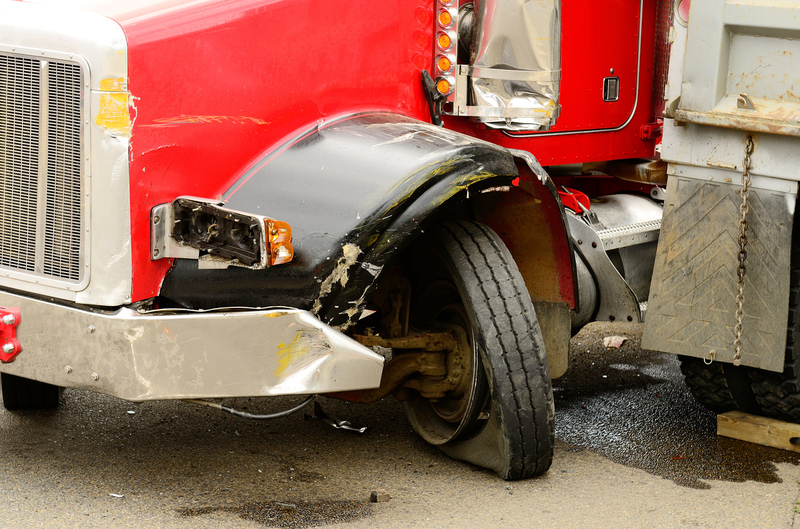 Although accidents involving tractor-trailer trucks aren’t as common as passenger vehicle wrecks, when they occur, they tend to cause some of the most severe damage and injuries to the others involved. If you have been involved in a crash with a tractor-trailer truck driver in Jackson, MS or know someone who has and aren’t sure what your next step should be following receiving medical treatment, then call the MS tractor-trailer truck accidents lawyers at the Heilman Law Group, PA.
Our office is qualified and capable of providing you with the legal advice you need so that you understand what options you have and how you can hold the negligent trucker driver accountable for his/her behavior. You may also be entitled to a significant amount of compensation so it is best you allow one of our experienced Jackson, MS tractor-trailer truck crash attorneys review the details of the wreck so we can better determine what your case might be worth.